OK, so you’ve diligently traveled the world, ticking off the likes of Petra, Machu Picchu and the Pyramids of Giza from a comprehensive bucket list. Impressive, we say, but what’s next? Here are five stunning ancient landmarks you’ve never heard of. Almost 4 million tourists visited Peru last year and a large proportion of them spent at least some of their trip in the beautiful city of Cusco, jumping off point for Machu Picchu. But there's so much more to see in Peru. Only a fraction of visitors – just 103,000 in 2017 – made it to Kuélap, located in the north of the country. The opening of a cable car up to this ancient hilltop fortress boosted visitor numbers, but even so, it flies largely under the radar. Built by the Chachapoyas people, Kuélap is significantly older than its better-known rival. Llamas graze the grassy meadows that separate clusters of the five hundred or so ruined circular huts that still exist. Constructed from limestone and intricately carved, a handful of conical dwellings have been reconstructed by archaeologists, providing a glimpse of what life may have been like up here. Zimbabwe’s troubled political situation has overshadowed the development of this southern African nation as a tourist hub. But the medieval city which gave its name to the country is among Africa's most compelling sights. 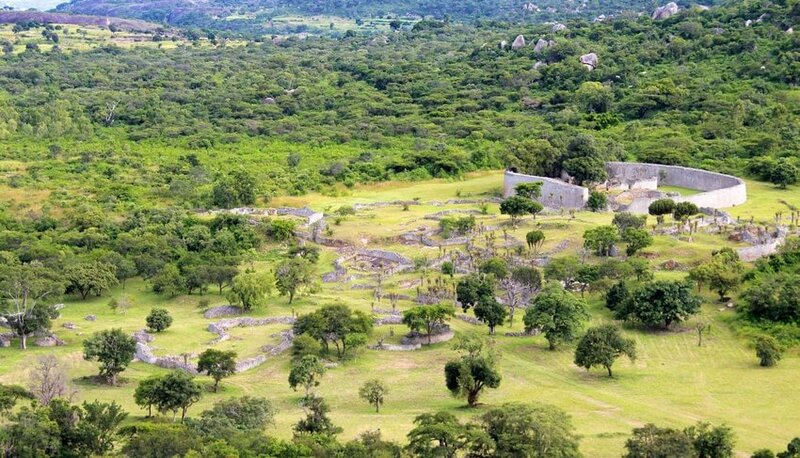 It’s believed that Great Zimbabwe was originally built as a royal palace for a local monarch. Its dry stone walls towered five meters high and the city they enclosed could comfortably accommodate 18000 people. Think of Roman ruins and you’ll recite a long list of places across Europe and North Africa before you remember that the tentacles of that once-great empire reached as far as Spain. 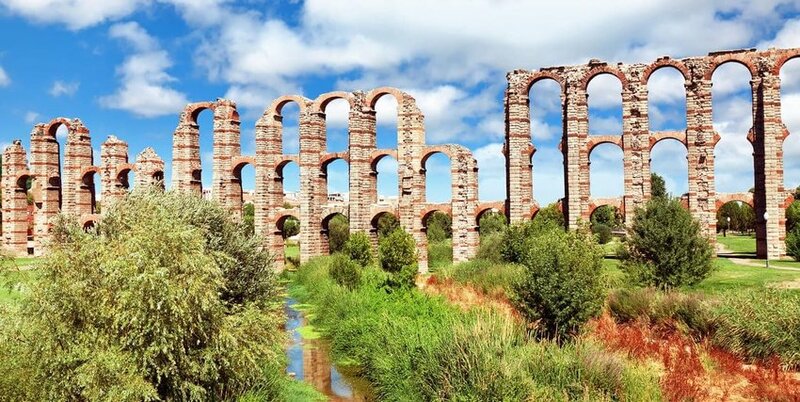 Tucked away in the heart of Extremadura, itself one of Spain’s least visited regions, is the city of Mérida. Ancient buildings crowd the modern center. Few main streets can boast a Roman temple between a bar and shops selling everyday items of clothing. There are more Roman-era sites here than in any other place in Spain, including a theatre and amphitheatre resplendent with decapitated statues, the Casa del Mitreo with its wonderful mosaic floor, a Hippodrome and more. A couple of hours’ drive north of Angkor Wat, hidden behind thick forest, lies a clearing dominated by a seven-story pyramid. Known as Prang, it’s thought it was the state temple of 10th century Angkorian king, Jayavarman IV. Koh Ker gets none of the attention enjoyed by Ta Prohm or the Bayon, yet it’s every bit as captivating. Around twenty or so monuments have been excavated and their surroundings de-mined, which only adds to the feeling of intrepid exploration on the part of the few visitors that make the effort to come here. But sadly, the remote location has left the site vulnerable, and looters have plundered many of its statues and sculptures. Don’t let that put you off – where atmosphere’s concerned, this beats the Angkor crowds hands down. The oldest of the ancient ruins in this selection is Mnajdra, a megalithic temple complex in southern Malta. This Mediterranean gem is something in the region of 5600 years old, with the oldest structures predating the Pyramids of Giza by a millennium. The temples would once have been used for religious purposes and, some suggest, to promote healing and fertility. One was used for astronomy, aligned so that sunlight on the solstices would illuminate part of the stonework. Clever, these ancients. These sites remind us of the value of longevity and make us think about how many centuries our modern structures might survive, and in what state. That’s why they’re so enticing. Grab a pencil and start crossing them off your newly-extended bucket list.